It is almost hard for me to grasp the thought of the school year coming to a completion next week. Many of us look forward to this time of year: the picnics, vacations, cookouts, soirees; a sampling of summer’s myriad of activities. It is also a bittersweet time of year when parents are faced with a range of mixed emotions since time flies by so fast, as their children will be heading to the next grade after summer break or graduate and venture off to college. It seems like it was yesterday when I was preparing my son for kindergarten, so it’s close to being unbelievable that he’ll be a 4th grader in the late summer. That is why I love the concept of “Share a Coke” since they have 1,000 names, emoticons, or terms like “Superstar”, “Grad”, or “Legend” adorned on their bottles. My son has a unique name like I do, alas there isn’t a Coke bottle with his name on it. So, the term “Superstar” is fitting for him since he worked his tail off throughout the school year. I’m honestly not a soda drinker, but I don’t withhold it from my children every now and then. Cherry Coke Zero is their favorite! I recently trekked to Schnucks to buy their favorite for a recipe for my 3rd grade “grad”. The pack for the Cherry Coke Zero wasn’t participating in the Share a Coke campaign, so I bought a 12 pack of Coke Zero and a jar of maraschino cherries instead. I love that this cupcake recipe doesn’t require the ingredients that most cupcake recipes call for – eggs and oil. All that is needed is a can of Coca-Cola and frosting. 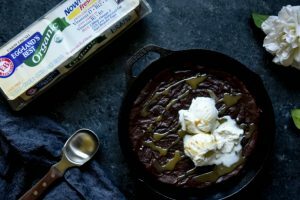 I used Coke Zero, but any variation of Coke will be suitable, and it still yields flavorful results minus the eggs and oil! – Mix the cupcake or cake mix and a can of the Coke Zero with a stand mixer or in a large mixing bowl. You’ll have a thick, fluffy texture once done! Fill cups 2/3 full with the mixture. Bake for 22 to 25 minutes or until you’ve inserted a wooden toothpick and it comes out clean. 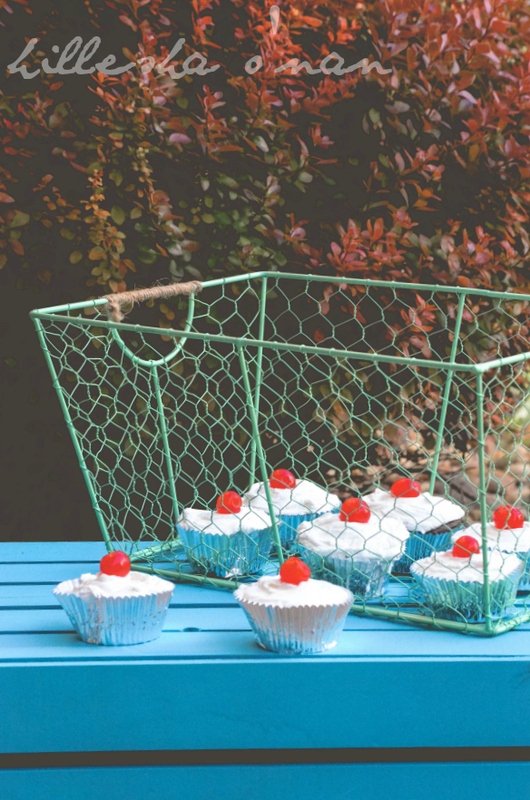 – Transfer the cupcakes from the cupcake pan to wire rack and wait for them to cool completely before adding frosting and garnishing. 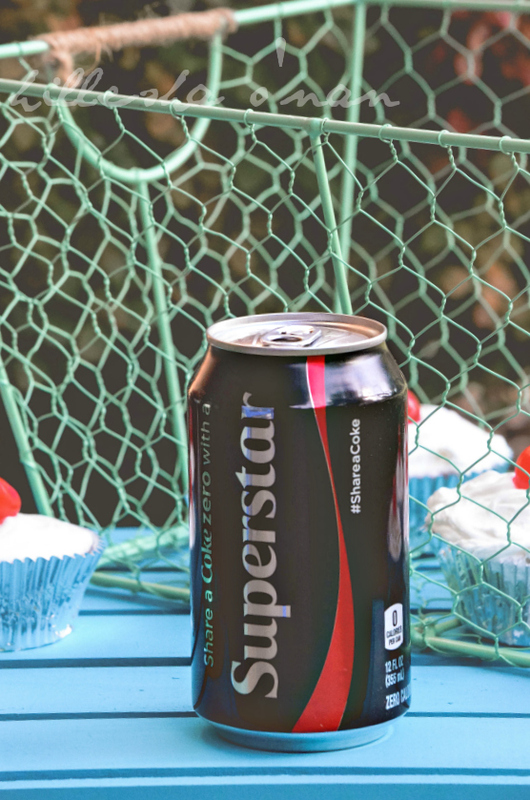 The sweetness of the cupcakes and a can of Coke Zero sync harmoniously! Who would you share your Coke with and how? I made cherry coke brownies not long ago and they were amazing. 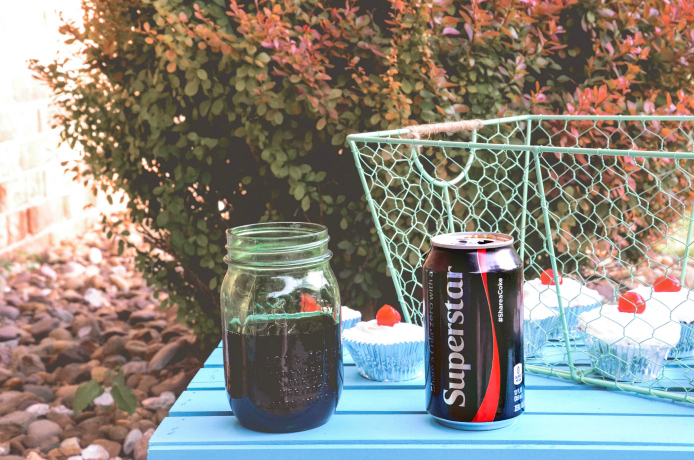 I love baking with coke – it adds a little something extra to the treat. Now, that sounds really good! I’ll have try that sometime. 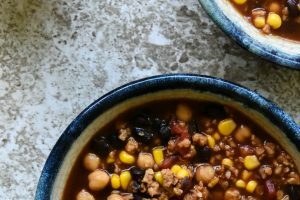 I definitely have to try this recipe–so darn easy!! I do love Cherry Coke (diet) and imagine it would taste really good in a cupcake!! Yup, I love how easy they are, too! 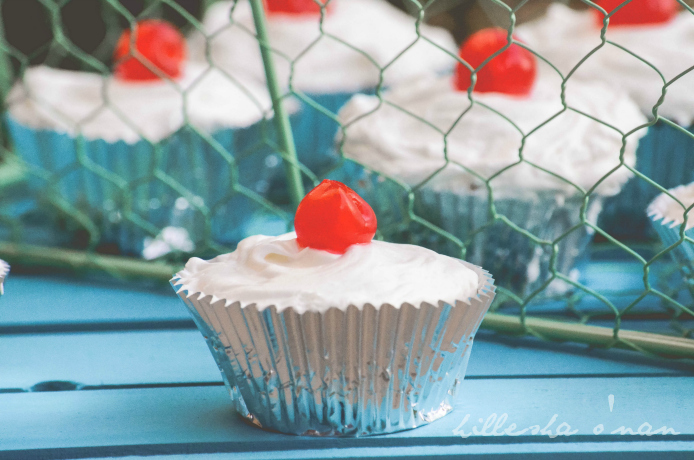 Cherry coke is awesome in brownies, so it has to be just as good – if not better- in a cupcake. I sure do miss having a can of pop!! I stopped drinking soda years ago… but my family members make up for me not drinking it. I wish I could stop! Maybe this is a way to enjoy it in a small way! Who would have thought you could add Coke to baked goods?! I wouldn’t be able to eat these since I went sugar-free a few years ago but there’s nothing wrong with a treat every once in a while! I’m sipping on a Coke Zero right now. This is a genius way to make cupcakes. Can’t wait to make these! Those sound fantastic. I love how easy they are to make, too. Thanks! This sounds so good! I’ve never tried making anything sweet with Coke before. My husband marinates steaks in it, though. Yum! Yes please. I love cupcakes and cocoa Cola is my big addiction. So these? Heaven for me! I will need to try these! What a fun combination! I love me a cook cupcake and a glass of coke! Thanks for sharing! What a creative and cute way to use Coke products. Two of my favorite things to indulge in during the summer at parties! Chocolate and coca cola cupcakes sound so interesting! I would so be willing to try these out, what an awesome recipe. I keep seeing baked goods that have soda in them somehow. 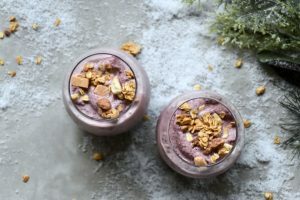 I really have to try one of these recipes and these sound delicious and they are so cute! 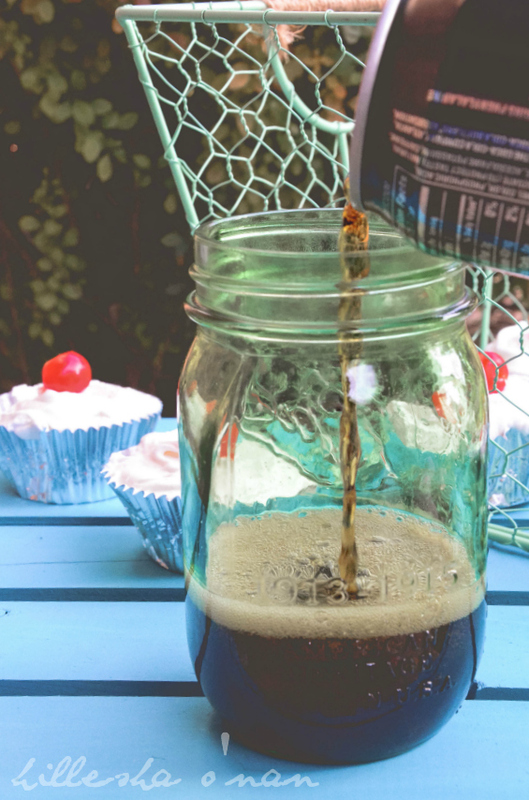 I’ve never tried using soda in my cupcakes but I would love make this recipe. I can’t say that I have ever heard of Coca-Cola cupcakes before. They sound magnificent, though! I will have to give them a try! What a great recipe. My mom used to make Cherry Coke Cupcakes and they are really really good. They are really lighter then people think and can please even the most finicky eaters. Thanks for sharing. I love this combination of chocolate and Coke!! I love the share a Coke promotion, its so fun to see whats on them! This looks like a delicious recipe. I will have to try it this weekend. I am sure it will be a huge hit. The cola taste in the cupcakes gives this one a unique taste. It looks really tasty too. These look like such sweet little cupcakes. I really want to make coke cakes for myself soon. Love the combination as well. I drink Coke all the time but those cupcakes are to die for. I’ve never tried a cupcake using cola before but these sound tasty! Thanks for the recipe! Very interesting, we dont really drink pop but this would be fun to try since my son love cupcakes! I will try this when the school is off for summer. I’ve seen cupcake recipes with coke but never really haven’t tried it yet. I think I’m going to finally give it a try with all the great comments I’m reading. I can’t wait! I’ve yet to bake with Coca Cola but have seen others do it. Looks like it’s a great flavor to add. I love your cupcake recipe! DogVills recently posted..What are The Basic Types of Hypoallergenic Dog Food? I would share my coke with my husband. Two straws and one glass. Sounds like heaven! My dad is a Coca Cola lover. He’d love these. I’d never thought of using cola for baking. Not sure why. Make perfect sense. Camesha | Mama Motivator recently posted..Who Else Could Use Self Care? I never thought of using Coke! I know what I’m trying this weekend! I’m the same way… I’m fine with no chocolate and then suddenly I must have ALL THE CHOCOLATE. Cherry Coke Zero is my favorite, too! Wow, what a delicious recipe that is! I love anything chocolate, anything cupcake, and anything Coca Cola. Thanks for sharing! I couldn’t help but love it. Chocolate, who in their right mind doesn’t like chocolate?